I love getting my ESL students to practice learning their WH- question words in different ways. Not every student will learn how to use question words easily and some will understand it better than others! 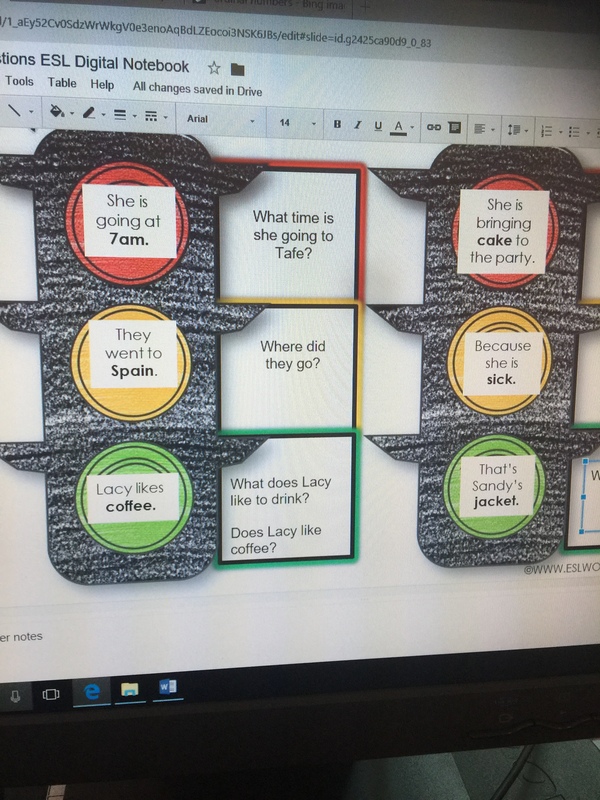 I made these fun interactive digital activities to help students learn and practice making question sentences using question words. Students will make questions for the answers on the left. I’ve actually amended that and swapped over the answers with the questions to make it look like they are writing questions for the answers in the correct order. 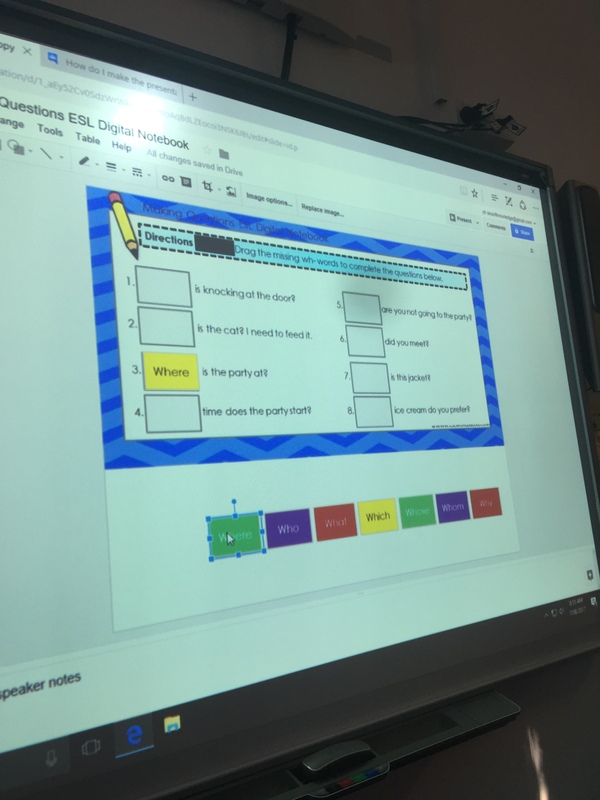 The students had fun making questions to go with the answers, they found ti difficult to predict which word they will use between ‘what’ and ‘are’ to start the question sentences but they got the hang of it after a bit of practice! 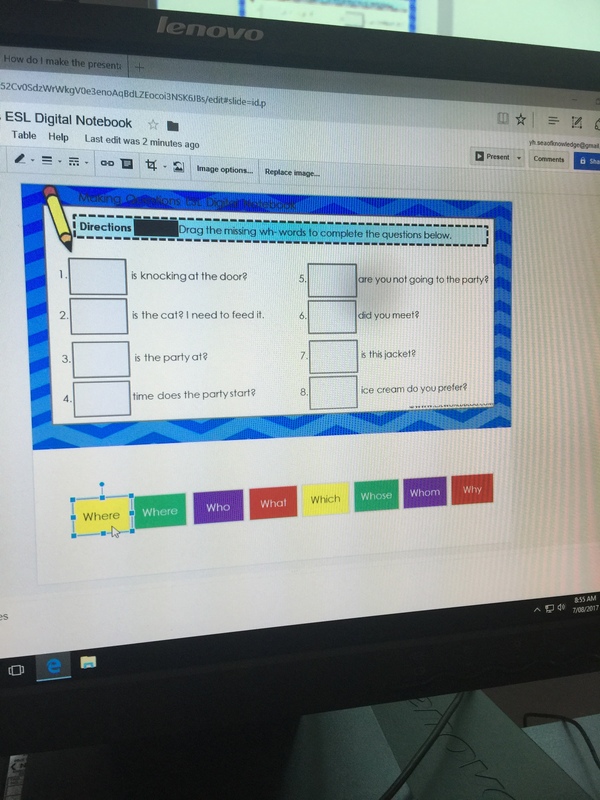 In this next activity in the Building WH- questions digital activity pack, students drag and drop the missing WH- question words to complete each sentence. This was an easier activity than the one above so we started with this one first and then moved on to the next one. I find that if I don’t follow up and watch where the students are in their progress throughout the activities, that they will move forward so fast with the activity – so I made sue they complete them in order. As a final activity, I like playing a game where each student has to start with a question word and then the next will say another word to make a complete full sentence as we move along each student (so, student 1: who, student 2: is, student 3: that student 4: girl?) etc… They LOVE this activity!